Just imagine yourself witnessing a beautiful water body set against the backdrop of natural landscape! Isn’t it mind-blowing? Do you not feel like capturing it in your cameras for your lifetime? Well, that is the case with most of the nature-lovers like us. We feel blessed that we experience such wonderful natural water bodies even in today’s world of pollution. These sceneries help us relax and unwind from everyday tensions of our lives. 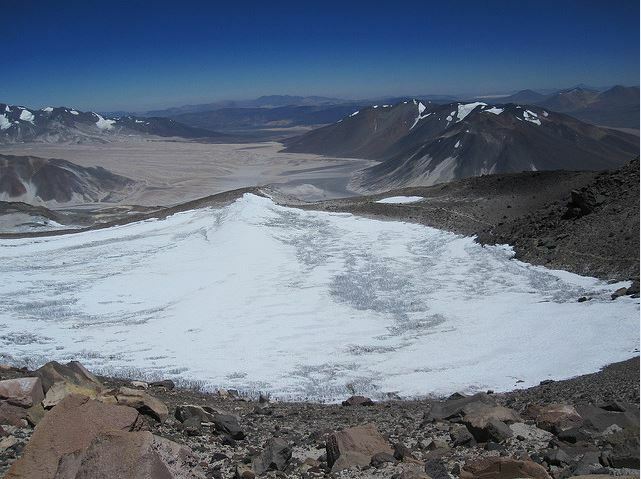 Nevado Ojos del Salado, meaning “Eyes of the Salty River” summit, is the world’s highest volcano. It is located in the south east border of Chile and Argentina. Sitting pretty at its foot on the east face is the unnamed crater lake, of a diameter of only 100 metres, a depth of 5-10 metres, but with an elevation of 22,615 ft (nearly 6,893 metres). In spite of the generally dry conditions of the volcano, the crater lake remains a permanent one. The Lhagba Pool is located just less than a kilometer southwest of the Lhagba Pass and the west of Lhakpa Ri. Although is it high at 20,892 ft (nearly 6,368 metres), it is just about 180 metres long and 50 metres wide. 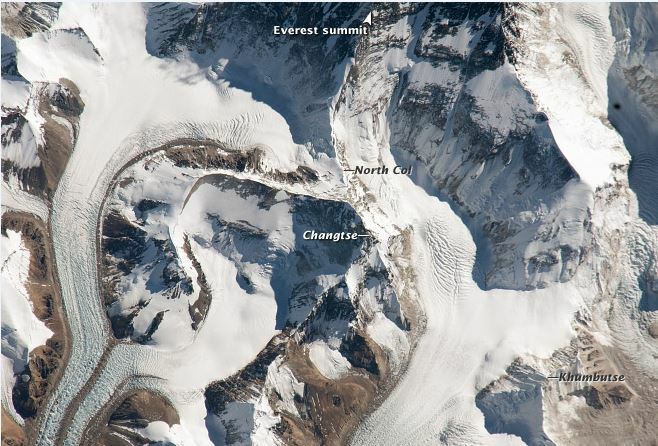 The Changtse Pool is a body of melt water that has formed at the intersection of the Changtse glacier proper and the glacier flowing from the Changzheng Peak. It is 180 metres long and 230 metres wide. Research suggests that it might either be a small amount of water on the top of the glacier or a huge sub-surface aquifer which has saturated the glacier and risen to such a great height of approx 6,216 metres. The East Rongbuk Pool is an example of a seasonal and temporary lake. 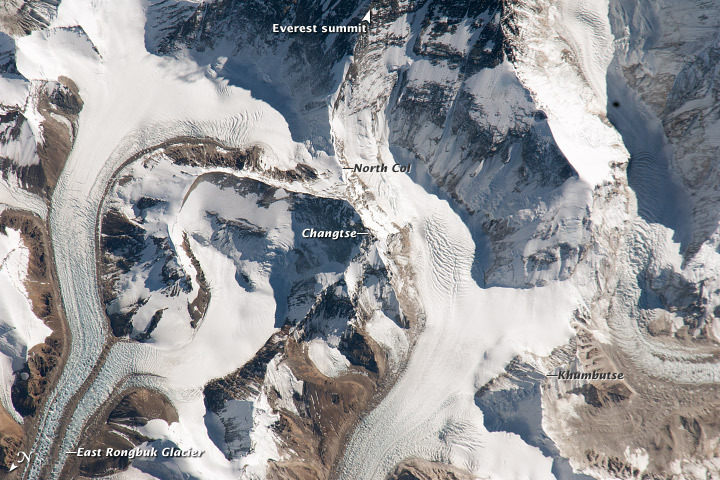 It is formed when the snow melts at the meeting point of the East tributary of the Rongbuk Glacier and the Changtse Glacier. Since the East Rongbuk Pool drains at the end of the season, it is not counted for a “true lake”. However, when it does form, it sits pretty high at 6,100 metres in the picturesque Himalayas. 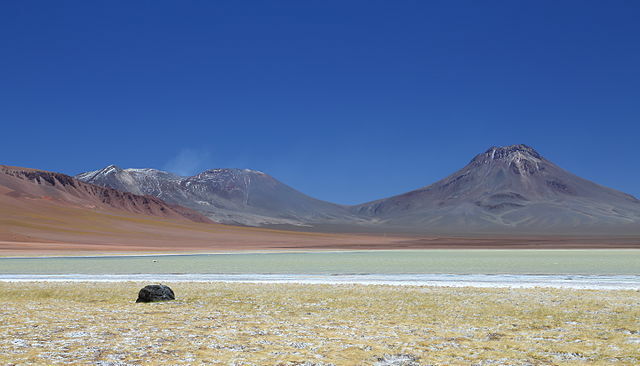 Acamarachi is a volcano located on a high plateau named Puna de Atacama in Chile. 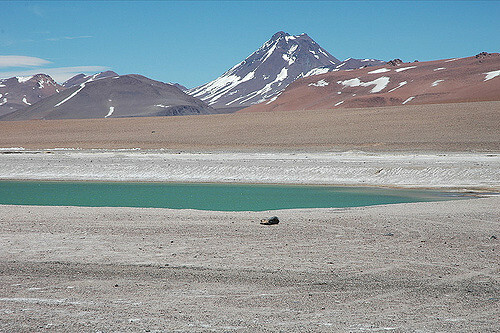 The summit crater houses a small pool of water, known as the Acamarachi Pool. It is just about 10-15 metres in diameter and at a height of about 5,950 metres. It is estimated to be the second highest crater lake in the world and the second highest lake of all kinds in South America, after the Ojos del Salado crater lake. Licancabur is a symmetrical volcano on the border between Chile and Bolivia. It has a crater lake, named Lake Licancabur, at a height of about 5,916 metres. It is 100 metres long and 70 metres wide and is 8 metres deep. It is covered with ice for a larger part of the year. Although air temperatures can drop to -30° C, the lake is home to planktonic fauna. The “Aguas Calientes” volcano is a cone-shaped volcano located in northern Chile. 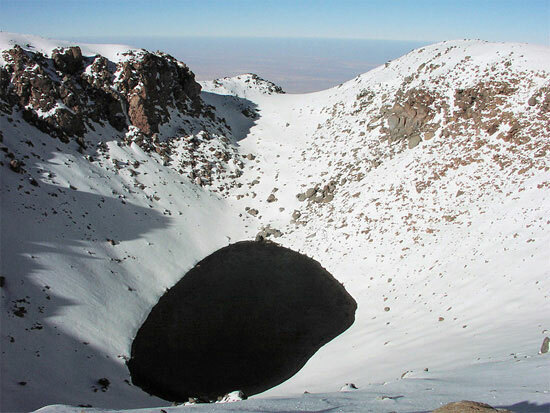 There is a small crater lake at a height of 5,831 metres found in the summit crater of this volcano. The lake has a reddish tinge to it as there lives a huge population of micro-organisms in the lake. 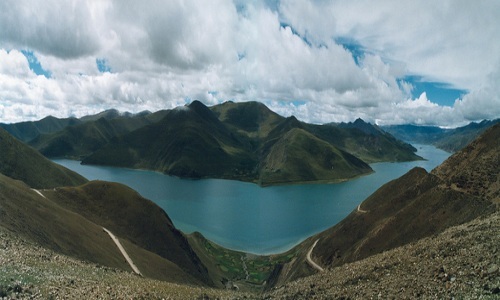 Located in the Tibetan Himalayas, the Ridonglabo Lake is at distance of about 1.5 kilometers southwest of the Ridonglabo peak and 14 kilometers to the north-east of the summit of Mt. Everest. The lake is in close proximity with the Karda Lake, which is the ending point of Karda Glacier. The Ridonglabo Lake is a typical moraine lake, which is the consequence of global warming. The retreat of the Karda glacier from its terminal moraine resulted in a depression. This depression was filled up by the melted water of the snow, giving rise to the 5,801 metres high lake with a surface area of 3 hectares. Poquentica is an extinct volcano 700 kilometers to the north of Licancabur. 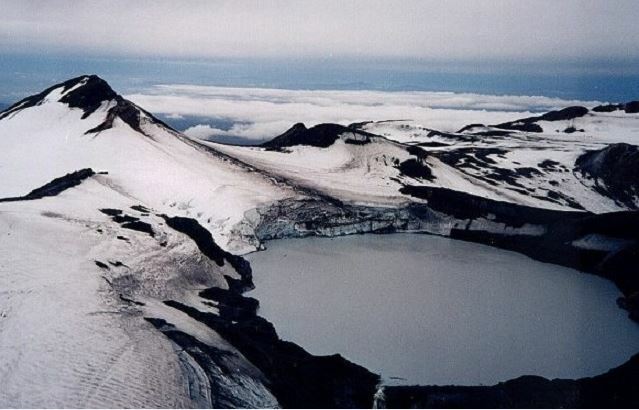 The summit has a crater lake which is 200 metres by 100 metres in size and is at a height of 5,750 metres. Poquentica is also called Puquintica. 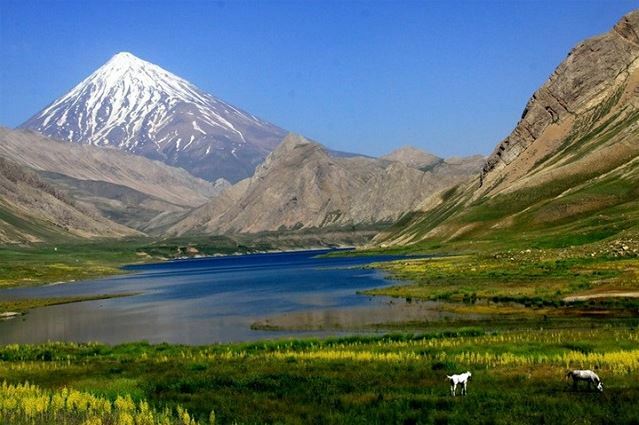 Damavand is a mountain peak in the mid Alborz Mountains in northern Iran. It has a small summit glacier which is accumulated with ice and snow during winter and usually remains frozen throughout the year. However, during summer, it melts to form a lake of liquid water. The Damavand Pool is an icy pool rather than a water lake due to the freezing temperatures at the mountain peak. In the cold seasons, it freezes into ice right till the bottom of the pool. The lake is 150 metres wide, 20 metres deep and 5,650 metres high and has a diameter of 40 metres. It does not qualify as a true permanent lake since it is small in size and disappears in the cold season. It is a well-known fact that three-fourths of the world’s surface is covered in water. A handful of such lakes are as high as 20,000 ft above sea level. It is also noteworthy that most of the world’s highest lakes are crater lakes, are located in the volcanic peaks and form due to the glacial melt waters. Not only this, some of the world’s highest lakes are found hidden in the cracks of the mountain valleys and among the highest mountain peaks across the world, thus making for stunning views and fascinating scenery for people to enjoy. 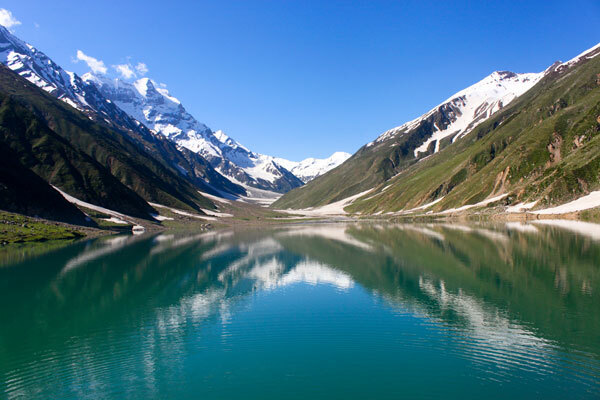 This is a lake being located at the end of northern valley that is also known as the Kaghan Valley. It is located near Naran which lies at the east of Manshera District. The east district of Manshera is the North-East Froniter Province of Pakistan as well. This lies at an altitude of 3,224m above sea level. 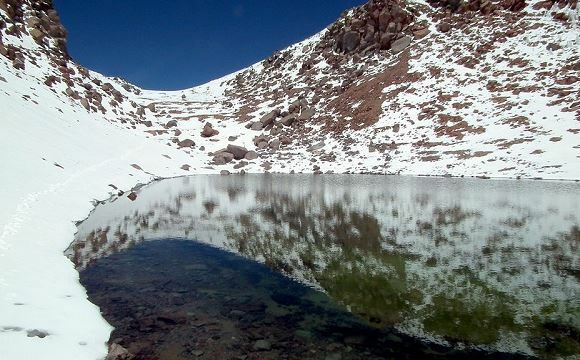 This happens to be one of the highest lakes in Pakistan. The lake is right over 14 km from the road from Naran. This location can be reached while starting from Manshera, and then crossing via Balakot and Kaghan. Trekking through a foot from Naran there are clear lakes that take about 4-6 hours to cross. The summer months stay really great in weather with the water being quite clear. The sunlight actually brightens up the whole atmosphere in summer with the clarity of water being the highest. 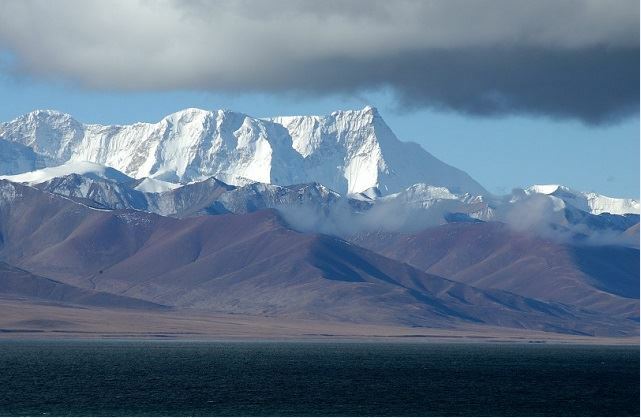 This is the 9th highest peak in the world. The literal meaning of this peak is “naked mountain”. The etymological root of this mountain is in Sanskrit. It is derived from the words: “nanga’” meaning naked or bare and “parvat” meaning mountain. Due to its bare rugged structure it is being named so. It is also known as the Killer Mountain. It has been one of the deadliest mountains to climb so far and thus the name. It is not only very high and rugged but also intense and dangerous with its differing peak surroundings. The overall terrain is quite rugged. The western anchor to the Himalayas, this mountain is one of the highest peaks being one of the eight thousanders coming from the Himalayas. The Indus River lies in the right south of this range. It is located in the Astore District. The North of Pakistan in Kashmir is area being taken over by the mountain peak. Right at the north of it is the Karakoram ranges. The straight shooting high vertical limit of the range is one of the main features of this range. The local terrains dissipate in non-uniform directions in different ways. The south of the Nanga Parbat is the one of the highest mountain faces of the world as relief. This Rupal Face rises about 4,600m above the base feet. The north of the complex is quite gently sloping. The Rakhiot Flank rises well above 7,000m right from the Indus River slope. It is just 27km away from the general elevation of ten greatly elevating points of the Earth. The entire structure surrounding this mountain is quite complex and have several unpredictable elevations. The core is that of a long riding ridge that moves more towards the south west and north east. The ridge is quite enormous with bulking blocks of ice and rock. The 3 main faces from this complex chain are Diamir face, Rakhiot face and Rupal. The southwestern part is also the main ridge which can also be called the Mazeno Wall. These happen to be some of the subsidiary peaks. The main curve to the ridge is the Rakhiot Peak ridge which is about 7,070 metres high. The massive Rupal Face is right above the main mountain peak, leading the way to the north. There are many subsidiary peaks as well as ridges coming out of this main mountain. The North peak also heads for the main summit and there is a beautiful glacier awaiting, right ahead across the shepherds’ village named Latbo. 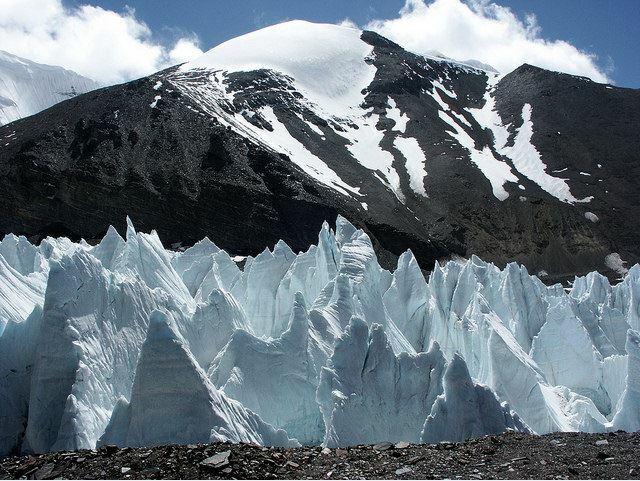 This glacier is also known as Latbo. Attempts to climb this mountain have been one of the greatest challenges to all climbers. Back in 1895, Albert F. Mummery had led an expedition with the Diamir West Face to be reached first in mind. However on the way two of their Gurkha companions died right on the reconnoitering route to Rakhiot Face. The Nanga Parbat became one of the most famed foci for Germans who were interested in the Himalayan expedition. This called for many German mountaineers to be coming here to volunteer. They even had made attempt to climb Mount Everest and make attempts from here since only the British had access to the pathway from Tibet at that time. Most of the initial German efforts failed. Paul Bauer led an expedition to Kanchenjungha through this way. He led two expeditions consecutively in the years 1930 and 1931. The party faced the dire constraints of the steep ridges, long and narrow pathways as well as greater expedition ways to the Everest. The expeditions however could not make much progress also considering the limited aid in mountain climbing that was present at that time. 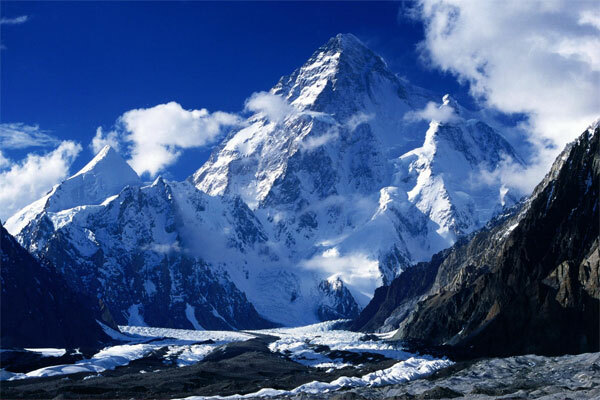 K2 became one of the hardest to climb mountains. The remoteness of its location and the steep pathways to it made it quite the ordeal of a lifetime for the mountaineers to even reach its base. With Kanchenjungha and K2 being so difficult it can be understood that Nanga Parvat stood quite out of the way for most climbers. Though the Germans took the chance they had few chances to be successful. The very 1st German attempt to Nanga Parvat was led by the team of Willy Merkl in 1932. This was one of the greatest German American expeditions that included German as well as American climbers. Among the main climbers there was Rand Herron, an American, Herbert Kunigk and Fritz Wiessner, who were German. This expedition turned out to be poorly planned and thus could not be successful enough. While the group had really strong climbers there was not enough detailed planning for Himalayan conquering experience. The number of porters for the expedition really turned out to be inadequate and thus this hindered the progression of the team. The team made it to the Rakhiot Peak however and established great feasibility to this route.